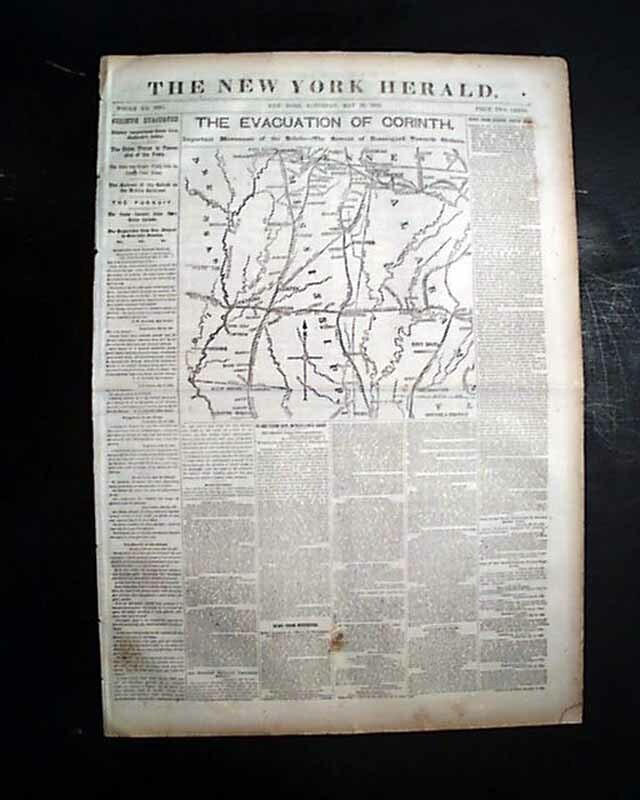 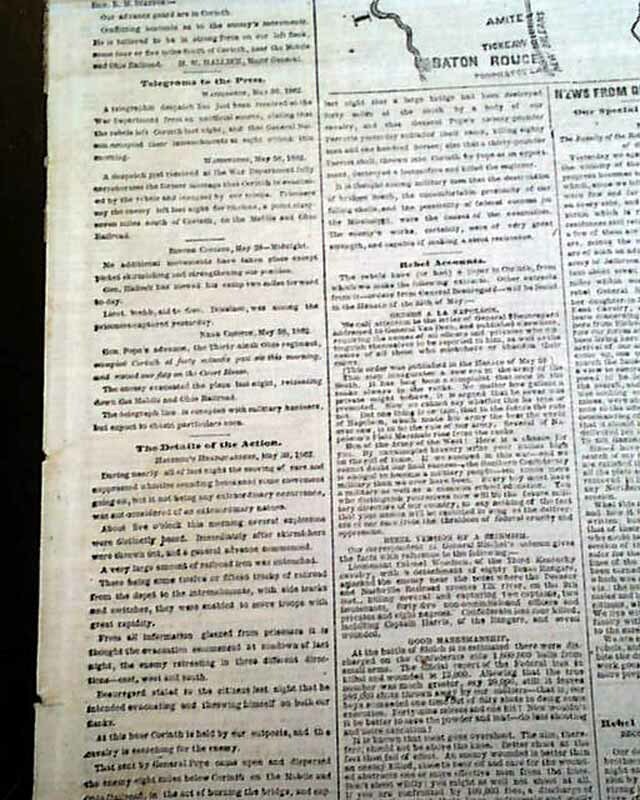 NEW YORK HERALD, May 31, 1862 The ftpg. 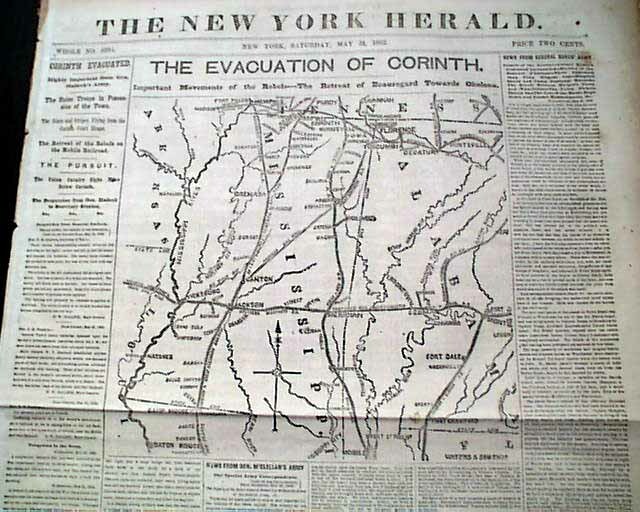 is dominated by a large & very detailed Civil War map headed: "THE EVACUATION OF CORINTH. 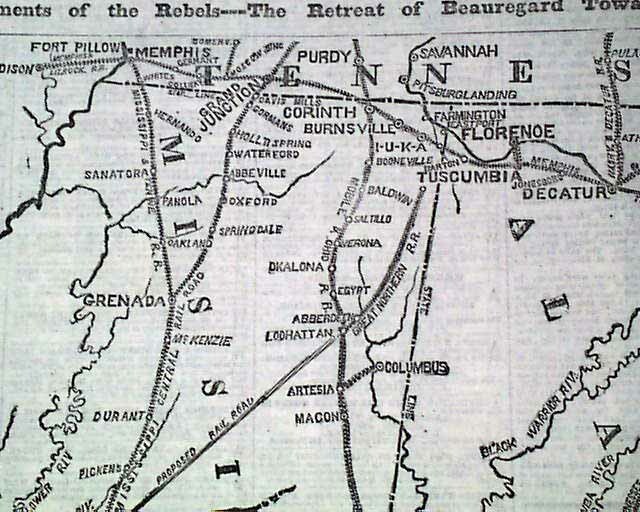 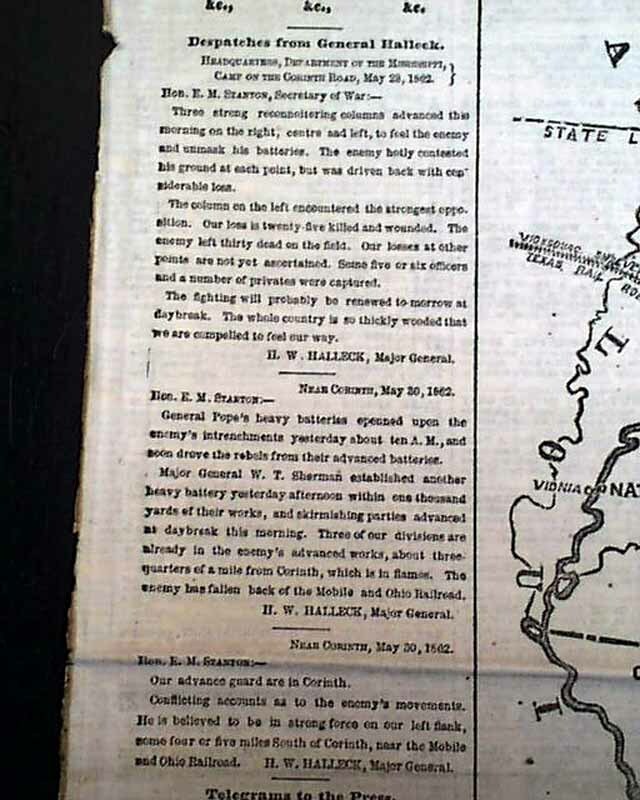 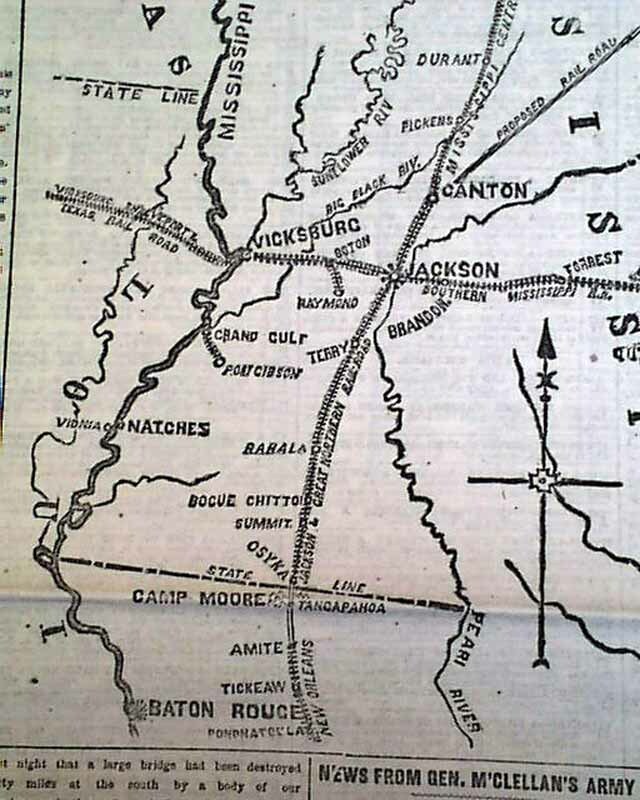 Important Movements of the Rebels----The Retreat of Beauregard Towards Okolona." 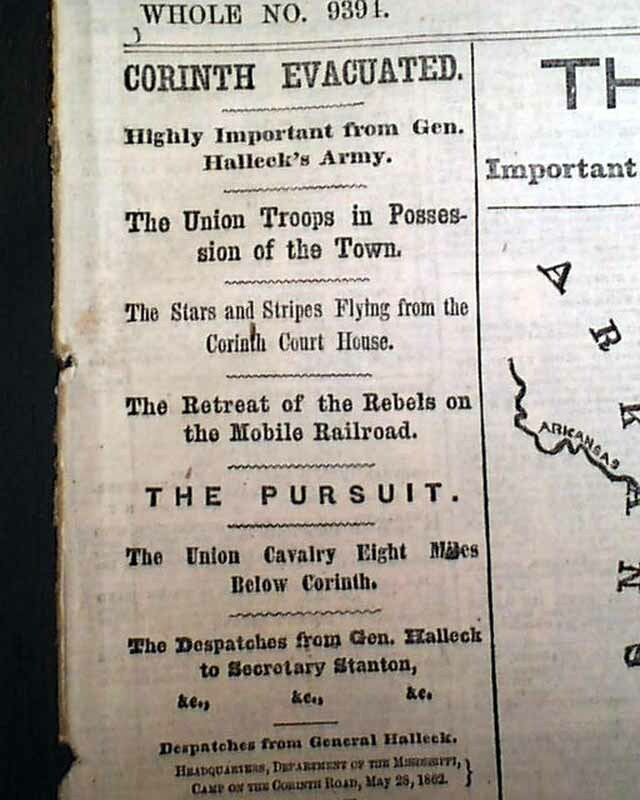 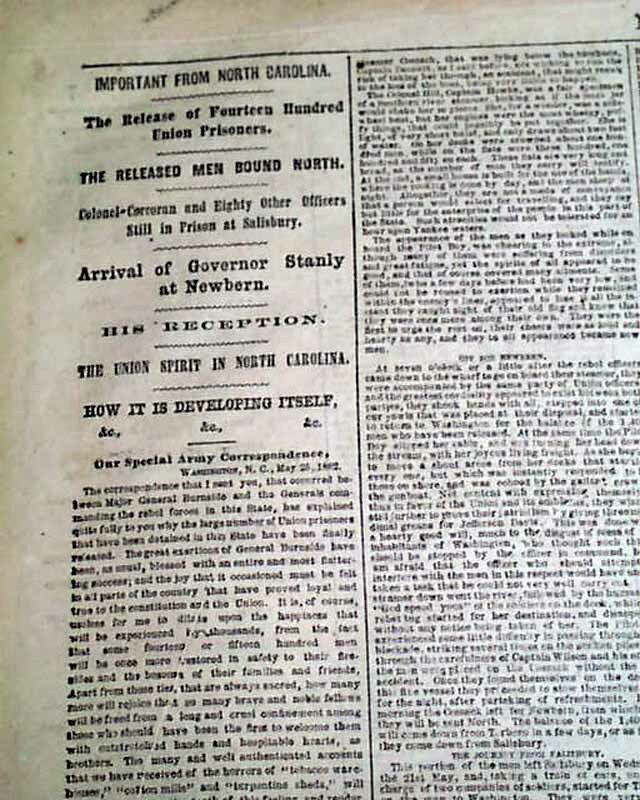 First column heads: "CORINTH EVACUATED" "The Union Troops in Possession of the Town" "the Stars & Stripes Flying from the Corinth Court House" "The Pursuit" and more.